WCRE is proud to have exclusively represented Dr. Marvin Cetel in the exclusive sale and marketing of 651 Route 73, Marlton, New Jersey to Dharma Karma, LLC. 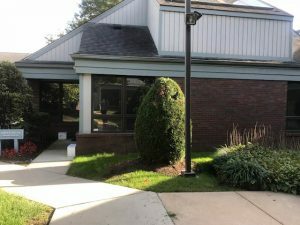 651 Route 73 is a +/- 1,000 square foot professional office condo located along the Route 73 Marlton business corridor and is conveniently located near many amenities within the area. April Loomis, Senior Associate and Ryan Barikian, Senior Associate for WCRE exclusively represented the buyer and seller in this transaction. As the foremost Marlton commercial real estate brokerage firm, Wolf Commercial Real Estate helps owners sell and/or lease their office space in Marlton through a defined marketing process that we have developed and that we tailor to each property. Our unparalleled marketing strategy works effectively to match buyers and tenants with available Marlton office space. For companies and individuals seeking new office space in Marlton, the team at our Marlton commercial real estate brokerage firm helps you find the Marlton office space that best suits your needs. Our Marlton commercial real estate experts ensure that the sale or lease terms for your new office space in Marlton are the best fit with your commercial real estate goals. For more information about Marlton office space for sale or lease, please contact the team at Wolf Commercial Real Estate, a Marlton commercial real estate broker at 856-857-6300.